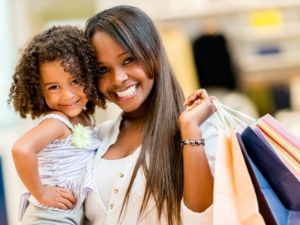 Shopping and strip malls fill just about every corner of Collin County, so we'll share with you the major shopping centers and malls in Allen, Frisco, McKinney, and Plano. We've also included the historic downtown areas known for their boutiques, antiques and art studios. These destinations are relatively new, fashioned around outdoor activities for adults and kids. Take a break from shopping and enjoy sipping a coffee on the patio or gather for a glass of wine. Major brands such as Dillards, JC Penney, and Macy's, along with specialty boutiques, are found on the Fairview side. We listed this mall on our discount shopping page for the Allen side, where you'll find Homegoods/TJ Maxx and Ross. Specialty stores are found on both sides of Stacy Road. Charming Charlies, Eddie Bauer, Ann Taylor, Bath & Body Works, Sephora are just a few of the major brands. Grimaldi's pizza, The Cheesecake Factory, P.F. Changs, and Bonnie Ruth's are some of the major eateries. The shops are located behind Market Street and built around a stream, creating a quaint village effect. A children's playground is conveniently located in the green area. High-end boutiques and retailers such as Urban Outfitters, Lily Rain and Oil & Vinegar. Casual to formal dining from the upscale Seasons 52 to Twisted Root Burger. These are the traditional shopping mall model that burgeoned in the 60s and 70s. There are only three of these shopping malls in Collin County, two of which are in Plano and one in Frisco. This is your traditional mall with anchors from Nordstrom to Sears. It is an interior mall with fun eateries such as California Pizza Kitchen and the Cheesecake Factory. In addition to the main mall, there is a plethora of "strip" malls in walking distance. One of the original malls in Plano, anchored by JC Penney and Sears. This nostalgic mall is home to stores you may have found when malls first opened. A traditional mall with Neiman Marcus, Dillards and Macy's as the anchors. Crate and Barrel, Restoration Hardware, Z Gallerie, Ann Taylor, Brighton, and Forever 21 are just a few of the high-end retailers here. While each of Collin County's Main Streets offer some degree of shopping, these are the locations to head for shopping, lunch or a night out. Each of these historic shopping districts could keep you busy beginning with your morning coffee through a date on the town. This is one of those fun shopping districts to explore. You'll find boutiques, antiques, and art--to purchase and to create. Quaint, independent restaurants and coffee houses alongside specialty markets. There are two farm-to-table restaurants. In sharp contrast to the shopping malls on the west side of town, there are a few independent boutiques here. The events, theatre and restaurants are the main draw. A quaint little town worth exploring for its unique restaurants, boutiques and antiques. Events draw folks in from the "big cities." It should be noted that just west of Wylie on FM 544 is a plethora of shopping options.